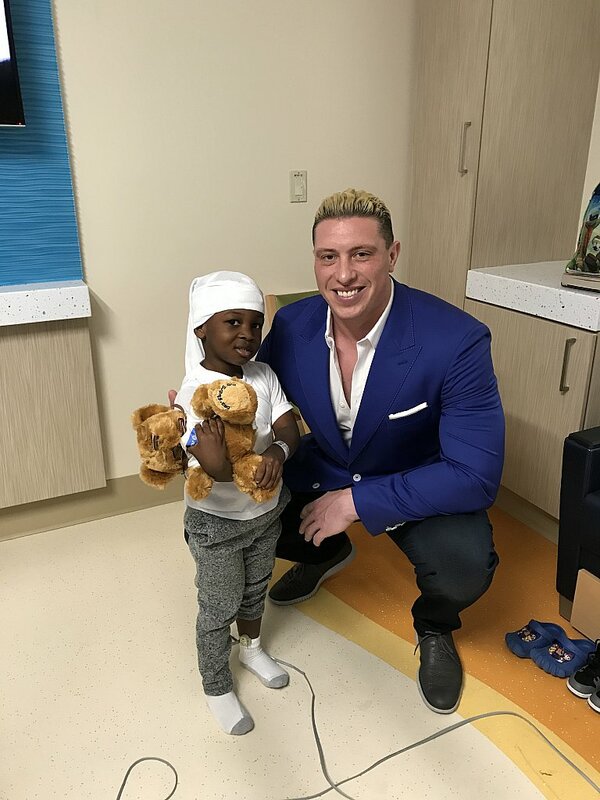 September 22, 2017 - Kristen of Bear Givers and and former Miami Dolphins fullback Joe Kowalewski were thrilled to visit the pediatric patients of The Salah Foundation Children's Hospital at Broward Health in Fort Lauderdale, Florida, formerly known as the Chris Evert Children’s Hospital. They were able to spend time and share laughs with the children during this memorable visit, while providing them with the comfort of a new fuzzy friend. Thanks to Ann Fogel for helping us organize the event and to the Child Life Team for welcoming us and creating a wonderful experience for everyone involved!